McCauley & Co.Jack in the Box Leads with Social Responsibility - McCauley & Co.
Millennials are leading the charge and demanding that organizations and their leaders play a meaningful role in creating positive social change. Not only that, 76% of investors also expect companies to take a stand on issues – like the environment, gender equality, diversity and globalization. What does that mean for leaders at the top looking to attract talent and customers? Lenny Comma, CEO of Jack in the Box, shares his personal playbook on the why and how of leading his 21,000 employees with Social Responsibility as guidance. 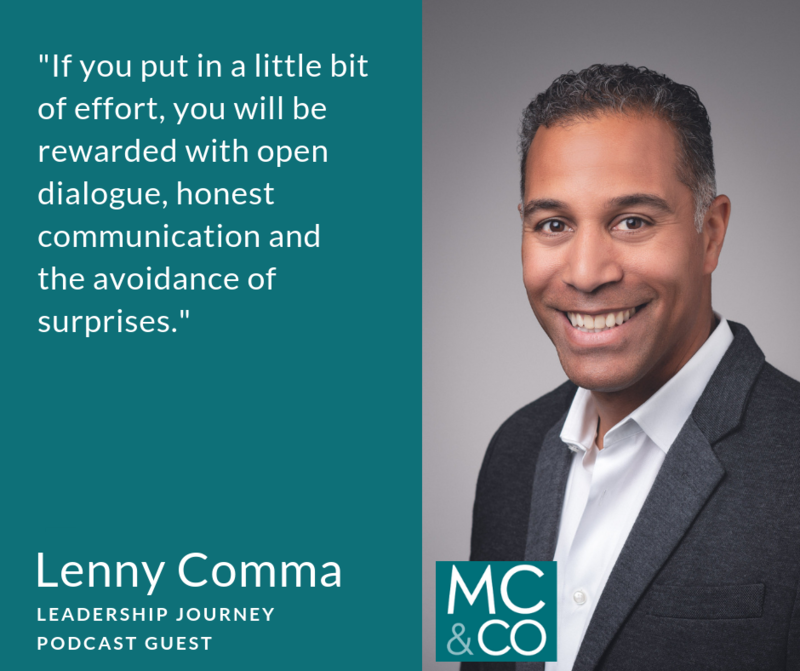 Lenny talks with Kelli about meaningful change, developing employees, and his habit of buying lunch within the trenches – all of which have a direct and positive impact on every stakeholders.